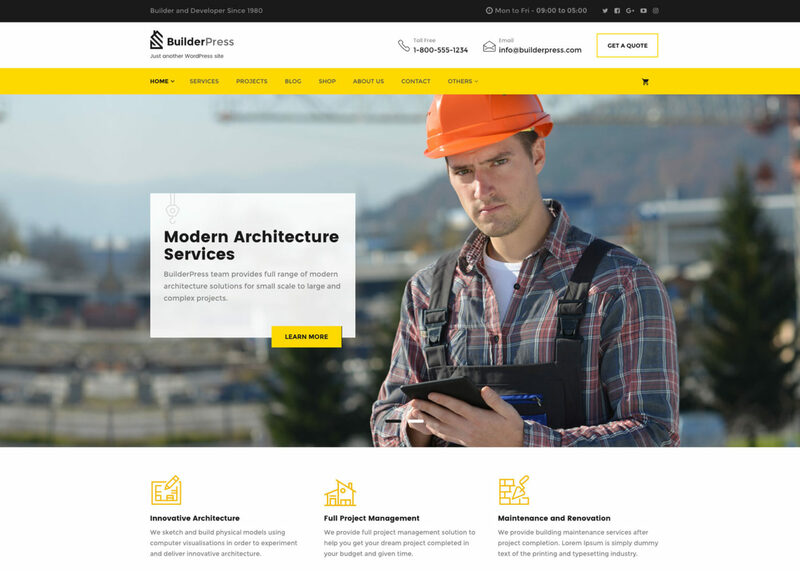 BuilderPress is a WordPress theme designed for businesses related to construction industry, powering with Visual Composer and WooCommerce. It is equipped with multiple home page variations and awesome feature of full theme color controls. BuilderPress theme comes with three header variations. You can also enable Top Menu to be a sticky menu in each header variation. BuilderPress theme provides all its settings in live customizer to help you preview your changes quickly and easily. This theme includes 5 default color schemes. But you can choose any color for your theme with its very flexible colors select options. You can also change Top Menu color and hover color. Home pages and other custom pages are based on Visual Composer elements. You can modify things the way you want. 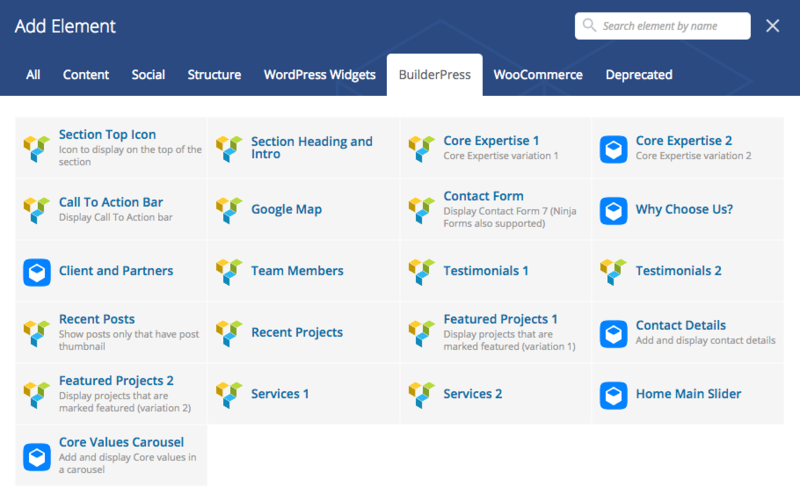 BuilderPress theme comes with the support of WooCommerce Plugin. It’s shop design provides a decent shopping experience for your customers. BuilderPress theme has a fully responsive layout. Your site will look awesome on big screens as well as on tablets and smartphones. BuilderPress theme comes with revolution slider support, So you can replace default BuilderPress slider with Revolution Slider. You can enable/disable top menu to be a sticky menu in each header variation. BuilderPress support Contact Form 7 and Ninja Forms WordPress plugins, enabling you to create as many forms as you want using power of beautiful and useful features. BuilderPress theme provides one click demo import to help you get started. BuilderPress theme is translation ready and you can translate it to any language (except RTL) a POT file is included within the theme to help you out. BuilderPress theme comes with SVG icon support. You can upload SVG icons and use it in various sections of theme. So, What are you waiting for? Install BuilderPress and take your website to next level.